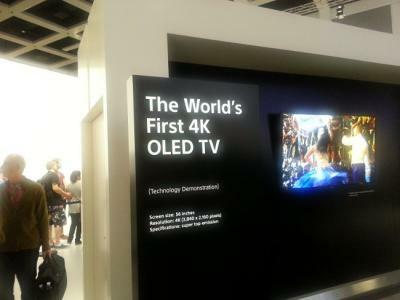 Last month it was reported that Sony decided to pull out of the consumer OLED TV market, to focus on UHD LCDs. Later on Sony denied that report, and a different report suggested that Sony, Panasonic and JDI are looking to consolidate their OLED businesses. We're still not sure what's up with Sony's OLED program, but the following bit of news gives some room for optimism. 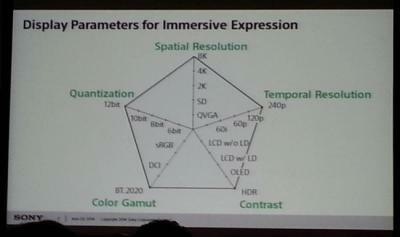 Sony's Dr. Kazumasa Nomoto presented an opening keynote speech at the SID DisplayWeek conference. This speech was all about Sony's efforts to create a truly immersive TV experience. In his speech, Dr. Nomoto says that OLED display show promise of achieving high dynamic range because of their near perfect black levels - something that cannot be achieved even with local dimming LCDs. During his speech, Dr. Nomoto spends quite a bit of time highlighting Sony's OLED displays and TV development, as OLEDs offer several appealing Immersiveness display attributes. This was great to hear as it's not likely he'll spend so much time on OLEDs if Sony really decided to abandon the technology in favor of LCDs.